Amy Belt Raimundo is Managing Director for Kaiser Permanente Ventures where she leads investments in medtech, diagnostics, healthcare information technology and digital health. Amy has a decade of venture capital experience including Vice President at both Covidien Ventures and Advanced Technology Ventures (ATV). Amy also has over a decade of operating experience across digital health, medical device and hospital systems. 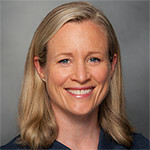 She was most recently the Chief Business Officer at Evidation Health and earlier in her career she was at Guidant Corporation where she led the international launch of the Xience drug eluting stent and managed product lines in the US, Europe and Asia and at APM/CSC Healthcare where she optimized clinical workflow and guidelines for major hospital systems. Amy is a Kauffman Venture Fellow and holds a BA in Economics from Yale University and an MBA from the University of California at Berkeley.